Jerusalem artichokes don't come from Jerusalem and are not artichokes! The plant is a relative of sunflowers. They have similar hairy leaves and stems and produce showy yellow daisy-like flowers in the late summer. The plants can grow very tall. Mine go up to over 8 feet. Although the stems and leaves can be used for animal forage, the main use in a garden is for the tuber. They have a very distinctive nutty sweet flavour. Jerusalem artichoke (Helianthus tuberosus), has many names: sunroot, sunchoke, earth apple, Canadian truffle or topinambour. Topinambour is particularly common in Europe. It is a native North American plant and was widely cultivated by native tribes. The following is an extract from "Food Plants of the North American Indians" V.Harvard, Bulletin of the Torrey Botanical Club, Vol. 22 No 3, Mar 27, 1895. The first place belongs to the Jerusalem Artichoke (Helianthus tuberosus I.) It produces many edible tubers, sometimes 2 inches in diameter, in our day mostly used for the feeding of cattle, horses and pigs, but which were precious to the Indians on account of their hardiness and prolificacy, retaining possession of the soil for many years. These tubers were mentioned by Champlain in 1603 and brought to France by Lescarbot who, in 1612 describes them as being "as big as small turnips, excellent to eat, with the taste of artichoke but more agreeable, and multiplying in a wonderful way." The samples sent to France in the early 1600's were successfully grown and became quite a common food. There it was known as Topinambour. It was eaten by both humans and animals. These days it is hard to find and considered a gourmet vegetable. Nutritionally, the dry Jerusalem artichoke contains about 10% protein, no oil, and NO STARCH. Unlike most root vegetables including the potato, it stores its reserves as the carbohydrate inulin (76%), a polymer of the monosaccharide fructose. The inulin gradually reverts to fructose when the tuber is stored. Since fructose tastes one and a half times sweeter than sucrose, Jerusalem artichokes have a sweet taste. Jerusalem artichoke have been suggested as a healthy choice for diabetics because fructose is tolerated better than sucrose. 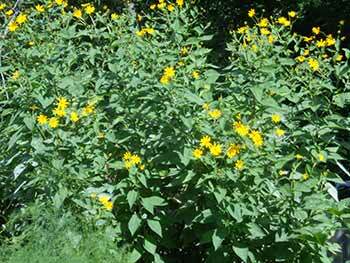 Jerusalem artichoke have been a folk remedy for diabetes. Jerusalem Artichoke is sometimes an ingredient of gluten-free pasta and other prepared foods. If you are interested here is a paper describing the Bioactive Substances and Free Radical Scavenging Activity of Jerusalem Artichoke flour. In particular it is stellar in it's antioxidant content and acts as a natural pro-biotic by encouraging the good bacteria in our gut. 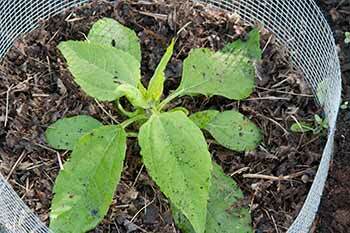 Jerusalem Artichoke are hardy, resistant to disease and prolific. They readily adapt to many conditions and resist drought quite well. They can do well in most soils but don't really like to have wet feet. My father grew them in hardiness zone 3 so they are quite hardy. They prefer a bit more heat though. A WARNING: When you see the words HARDY and ADAPTABLE you know that they are tough. It also means that they can be invasive. If you plant them give them an area that can be controlled. I can mow around my stand and am merciless in cutting down straying plants. Another strategy is to mulch around the bed with horticultural cloth, that, does wonders in controlling unwanted plants. Prepare your soil the usual way. There is no particular requirement other than drainage. 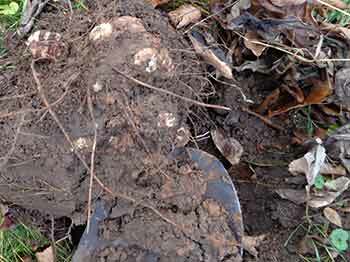 Most plants like a nice fertile open soil and Jerusalem artichoke are no exception. The tubers will be produced mostly at about 8-12 inches down. Although it is possible to seed them, by far the easiest method is to plant a tuber. It should be planted at least 5-8 inches down. I've planted both in the spring and in the fall and they have come up equally well. IF planting in the fall plant a bit deeper to protect from frost. 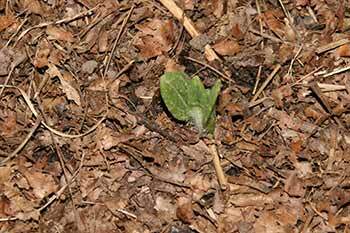 As soon as the weather starts warming up small shoots will come up and start growing. They are slow at first but quickly pick up the pace. In the first year I grew them, I was having a population explosion of voles. They had decimated my carrots and potatoes so I tried wire cages. 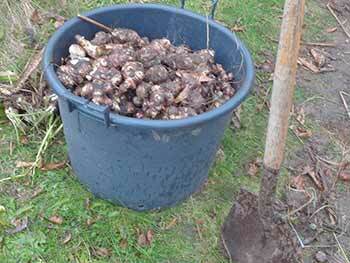 The cages worked but made it very difficult to harvest the Jerusalem artichoke so I discontinued the use. The voles were not particularly interested in them anyway. Plants in June and then in August, they grow quickly. The taller plants are about 8 feet hight there. I've seen a spot of mildew on them but the plants seemed to survive. They grow so quickly at this point that they keep ahead of any mildew by putting out new leaves. It was interesting to see that lots of birds would hang out in the plants. They did not have any bugs on them so it might just have been nice shelter near the garden. The birds patrol the garden looking for grubs. They really like the cabbage worms and keep my plants free of them all summer. 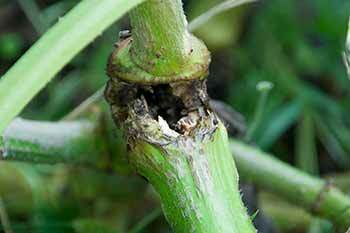 A few of the stems were attacked by grubs that burrow inside the stem. The plants did not seem to be badly affected and lived till the fall. A few of the infected plants broke where the grub had lived but it was late enough in the season that the harvest was still good. I've never had any grubs in the tubers. There must be some, there seems to be a grub for everything but so far nothing has chewed the inside of the tubers except for the voles, and then only a small amount. I mulch my plants and the Jerusalem artichoke seem to like this. Weeds around them is not much of a problem anyway because they are very fast growing and choke out the weeds before they establish themselves. Give them lots of space. They will want about 18 inches to their nearest neighbour. 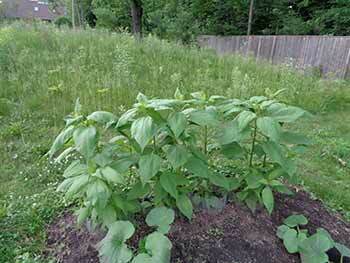 The plants grow very tall and the bed should be at least 4 feet from other plants. Remember you want to be able to pass the mower around them. My father always said that the Jerusalem Artichoke are sweeter and better tasting after a couple of frosts. I wait till we have had a few good frosts to dig mine out. I've been told that they can be dug up all winter if the soil is not frozen solid. They can also be left in the ground and dug up in the spring before they have grown. The tubers will be mostly between 6-12 inches deep. I cut down the crowns to make them easier to get to, and just go in with a spade as deep as I can a bit away from the centre of the plant. I always seem to damage some but there are quite a lot of tubers so I don't really care. I don't try and store the damaged tubers because they rot easily. The first year I grew them I used a garden trowel and carefully dug them up. Took a long time but the tubers were not damaged. Now I just accept that some will be damaged. A small patch 5 feet by 6 produced a giant bucket full of tubers. Because there are lots of little knobs they have to be washed well to get all the grit out of them. In the really knobby ones they have to be peeled to really get all the sand out. My mother used to pickle some every year. They make a very crunchy pickle with a sort of sweet taste. Undamaged tubers will keep perfectly well in the refrigerator for a month or so as long as they don't get wet and rot. Wrap in a paper bag to avoid condensation. Last year I kept an open container of them for a couple of months just in the open air. Eventually the left overs rotted and some dried up. My gardening book said that they can be kept for the winter in a cool place if they are placed in damp sand or peat. I'll try this year because I have too many to just keep in the refrigerator. They keep well in the ground if your soil is not frozen. 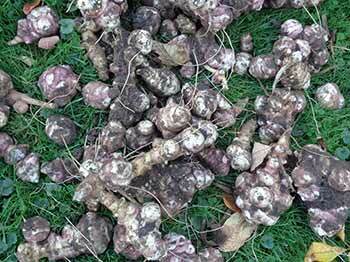 Jerusalem artichokes can be prepared in the usual ways for root vegetables. I like them roasted. If they are clean with no grit then peeling is optional as for potatoes. They can be steamed but tend to be mushy if they are boiled. Mushy is good if they are to be added to a soup though. There are countless recipes for this nutty sweet vegetable, ask Mr. Google to find some. Many are in French. Ask for "recette pour topinambours" and ask Mr. Google to translate. Because they do not contain inulin rather than regular starch, they are not digested the same way as potatoes. Rather they are processed further down the digestive track by bacterial. Some people have trouble digesting them and gas can be a problem. Eventually the good bacteria will increase and so will the ability to digest the JA. Try a small portion before eating a large amount. The ability to digest it improves after several meals so don't give up if you have a spot of gas at first. One of the names of the Jerusalem Artichoke is Fart Choke. 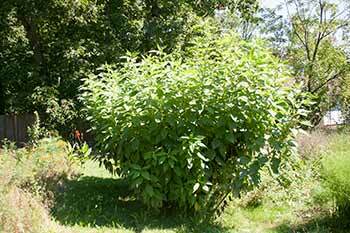 Purdue University article on Jerusalem Artichokes. 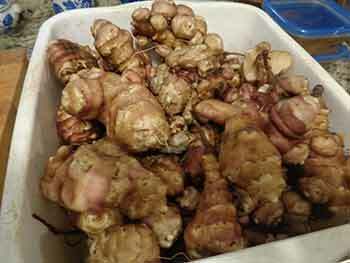 ChokedUp.ca is a Jerusalem Artichoke supplier. They are located in Canada.